Constructed of heavy-duty pulpboard, Pressboard Folders stand up to even the most demanding handling. 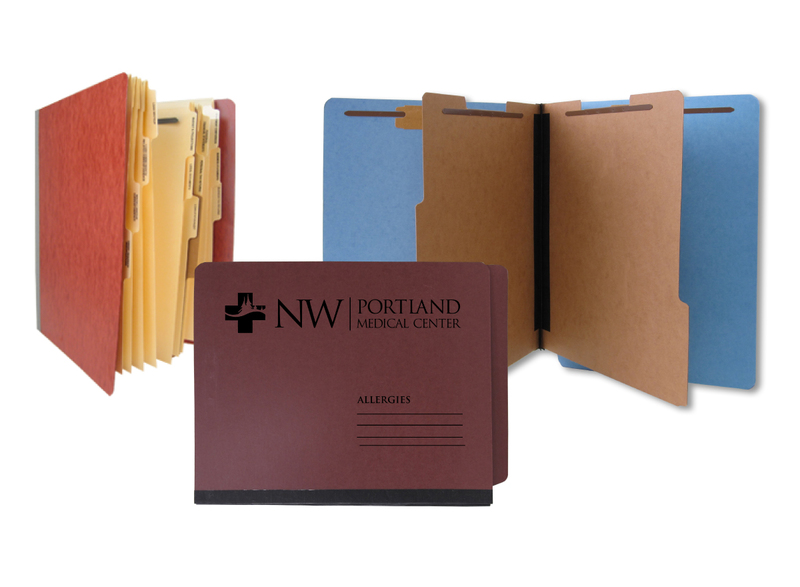 Heavy-duty pressboard folders stand up to demanding usage. 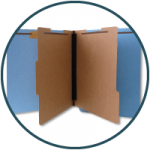 Need your pressboard folder to come fully assembled? 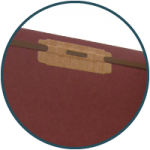 We can assemble your pressboard folders with custom index dividers or filesbacks, full strip labels, vinyl pockets and more! Featuring a durable Tyvek® expansion gusset. Standard 2 inch expansion, let us know if your pressboard folders need to have a larger expansion. 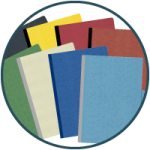 Adding partitions to your pressboard folder can help break paperwork into sections. Standard partitions are 17pt kraft with 1 inch duo clips. How many partitions does your pressboard folder need to have? Make sure your paperwork doesn’t get misplaced with fasteners. 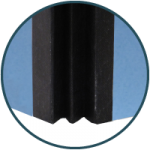 Bonded 2 inch fasteners are available to add in any standard position. Duo clip fasteners are also available to partitions. Type III, 25pt pressboard is available in nine standard colors, including black, deep red, pale green, yellow, moss green, dark blue, red, gray and light blue. One of our dedicated account representatives would be happy to talk to you about the added benefits of our pressboard folders. Send us a message, give us a call at 877.434.5464 or request samples to get started.